Dan Heymann was a founder-member of the South African band, Bright Blue, during 1983, playing keyboards and writing songs in the band until 1990. Hailing from Cape Town, Dan Heymann was born in 1960, and took classical piano lessons at school, until the age of about 14. During that time, Dan Heymann never mastered the art of reading music fluently, preferring to figure pieces out by ear, which naturally was an obstacle in Dan Heymann's classical-music progress! However, after ending his classical lessons, Dan Heymann did a lot of listening to rock-'n-roll music, and occasionally jammed with schoolmates, two of whom would later work with Dan Heymann as members of Bright Blue. At that time, Dan Heymann played an old electric organ, handed down from a cousin. Following high school, Dan Heymann studied engineering at the University of Cape Town, where his continued interest in music led him to keep playing the piano. and that led to a few gigs with a hastily-assembled jazz band, after being heard by guitarist Tom Fox, who was also to become a founder-member of Bright Blue! The influence of traditional South African music was hard to resist, and the solo improvisations of Dan Heymann soon took on some local flavor. where Dan Heymann first met singer-songwriter Robin Levetan, who fronted the band, and was re-united with Tom Fox, his former crony from the short-lived jazz band. After a busy first year with the band, Dan Heymann found his musical career on hold, when he was drafted into the Army of the oppressive Apartheid regime. 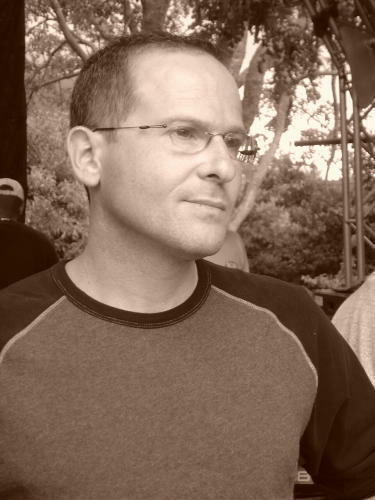 However, Dan Heymann was able to continue developing his musical ideas, using any pianos that were available on army bases, and that's where Dan Heymann wrote the music of "Weeping". But many months later, the declaration of a State of Emergency by the white regime gave Dan Heymann the idea for the lyrics of "Weeping". Upon being discharged from the army in 1986, Dan Heymann moved to Johannesburg with the band (minus Robin Levetan), where he lived for his final five years in South Africa. During that period, the band recorded "Weeping", and saw it spend two weeks at number one on the government-run station, Radio Five. After the band split up, Dan Heymann worked as a free-lance keyboard-player around Johannesburg, until 1992 when Dan Heymann moved to New York City, where he now lives, and continues to write.